This entry was posted in Barcelona, Paris, Seattle, Travel and tagged flowers, Maine, Pike Place Market. Bookmark the permalink. Beauties all around you! Love the colorful blooms. Absolutely beautiful! Much as I love winter (the striking sparseness is part of its charm to me), I do miss the colorful flowers. Flowers are so pretty – I really miss seeing them during the winter too! Who can resist such glorious colours and shapes? Beautiful! That’s just how I feel about flowers – they are irresistible! Thank you – I always feel happy when I see flowers in bloom! What’s not to love about flowers? That’s a good question – I love everything about flowers! Beautiful flowers around the world! Thanks for sharing, Meg! Thanks Jo – I hope you like flowers because it sounds like you’ve seen a lot of them! There are many worse things, Meg. Still reeling from the shock over Anita Mac. Your flowers were a welcome relief. You’ve had an ‘annus florabilis’! The white and blue ones just above the geraniums from Maine are particularly lovely. Lush and colorful blossoms to see just before bedtime. Serene and fragrant. Nice! That sounds very relaxing and calming too… thanks Ruth! It was really pleasant to see all these flowers! I thought they were very pretty too! Love all your beautiful flower photos. Window boxes in Maine, actually all over New England are a source of pride. 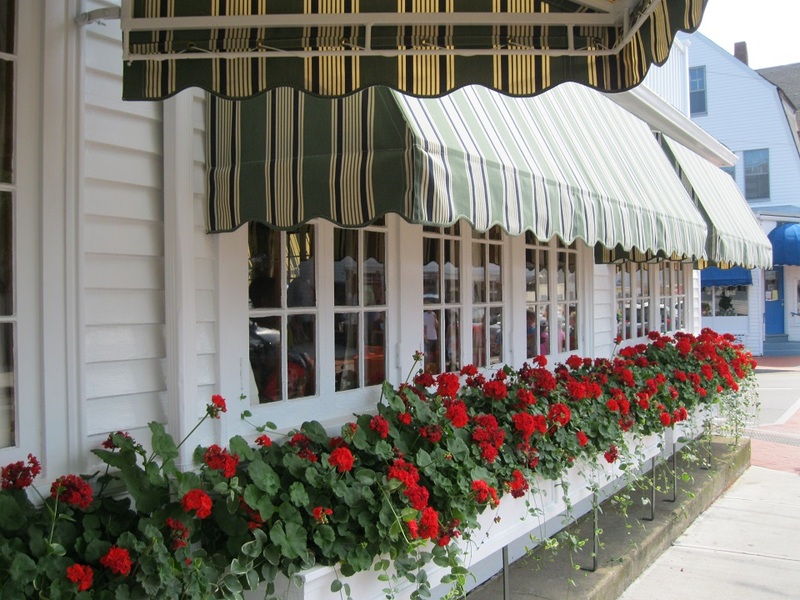 Many towns have contests to see which business on the local main street has the prettiest window boxes. Thank you Karen. I hope this window box won a prize because I thought it was gorgeous! I just love the flowers at Pike Place Market anytime of the year. You took some great flower pictures everywhere you went. Tulips have always been and always will be my favourite! If you are ever back in Washington, I highly recommend a visit to La Conner. It is north of Seattle but in springtime rivals Holland with its abundance of tulips! Thank you for that suggestion – it sounds wonderful! Mount Rainier makes a splendid backdrop to acres of tulip… It is stunning. A bit like being in Holland.